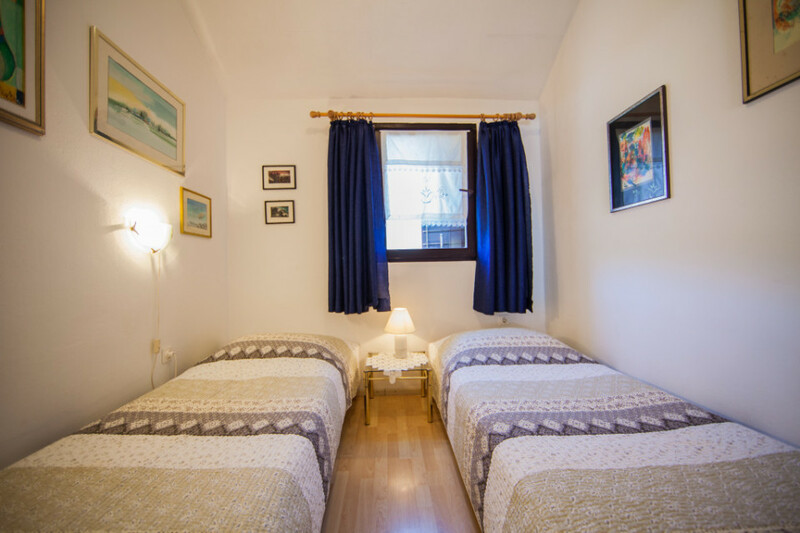 The Nono Andre apartment is located on the third floor of a family home. In the immediate vicinity of this apartment there are five little city beaches. 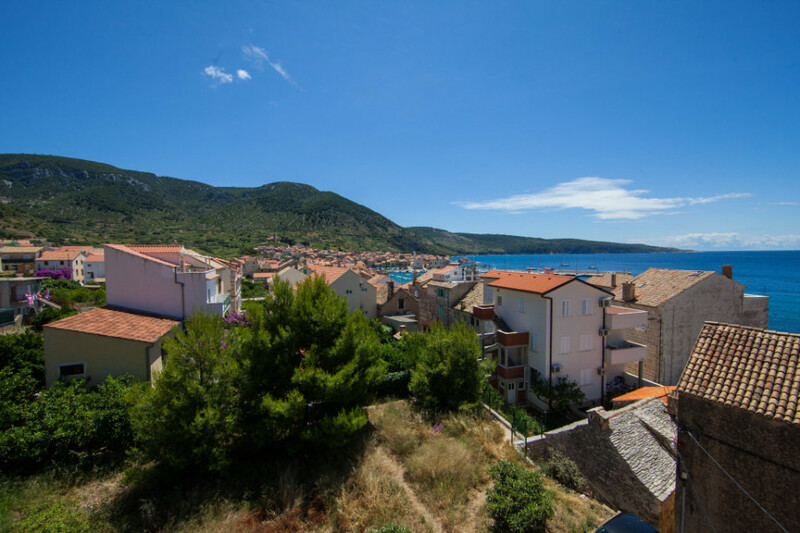 The greatest advantage of this apartment is a big terrace with a surface of 18 m2 with a view of the island Biševo, shaded by a roof and pleasant for an all-day stay. It is positioned over a pebbly beach housing the Issa divers club. 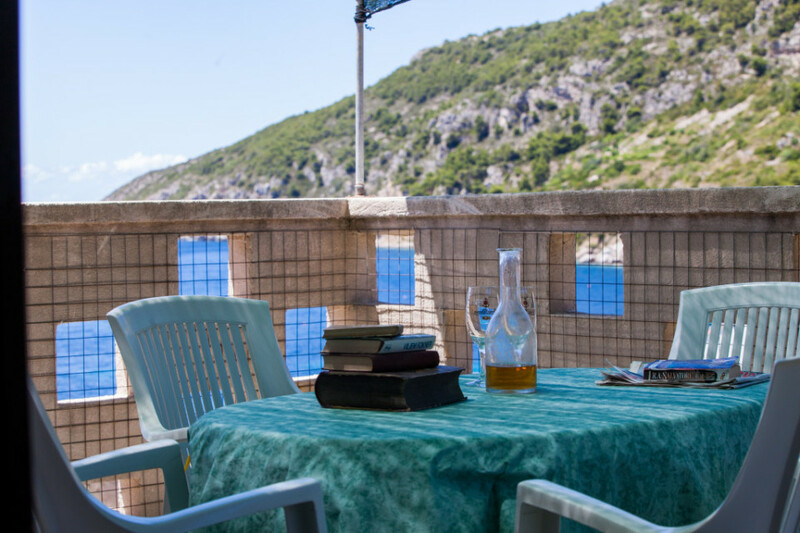 Here you can sip quality wine from Vis in the evenings and be charmed by an unforgettable view of the harbor filled with gliders and the shiny sky, while during the day you can enjoy sunbathing and reading. 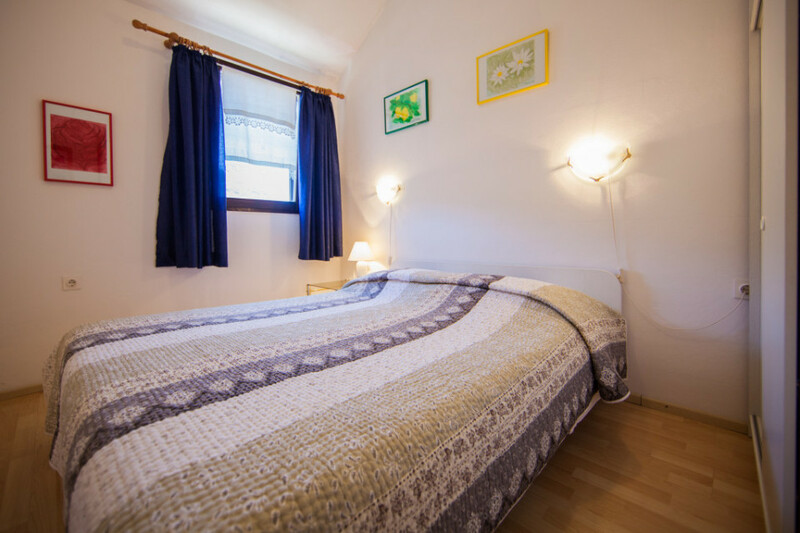 There are two separate bedrooms in the apartment with comfortable beds and a view of Komiža and the convent of St. Nicholas. 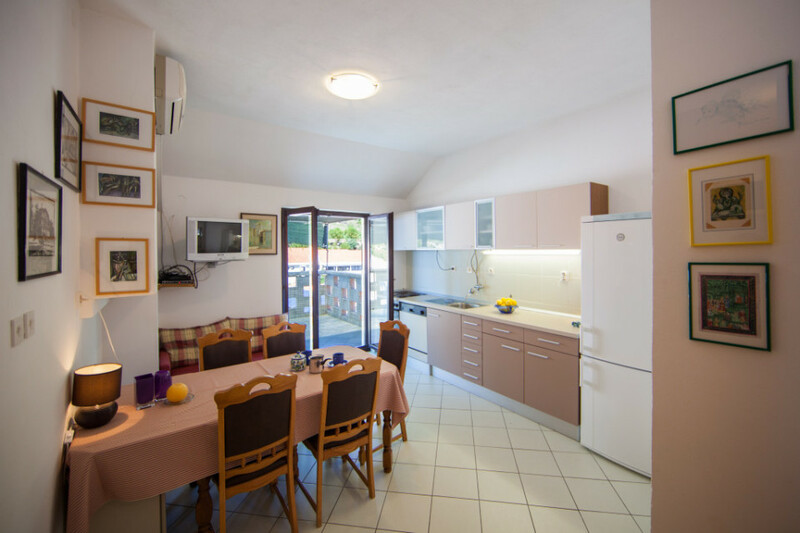 A special feature is a completely furnished kitchen with a stove containing an electric oven, a refrigerator with a freezer, a dishwasher and a large space for the disposal of kitchen accessories. 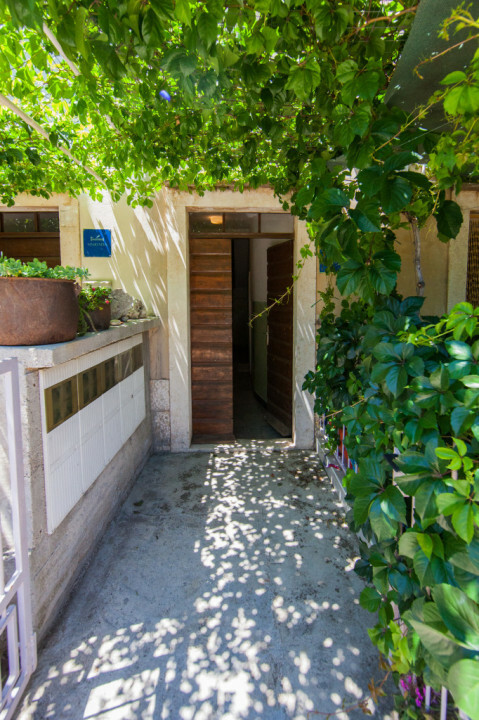 The bathroom is equipped with sanitation facilities containing a bathtub. Other notable equipment contained in the apartment is: a blow-drier, SAT / TV, Wi-fi connection, an air-conditioner and TA heating system. 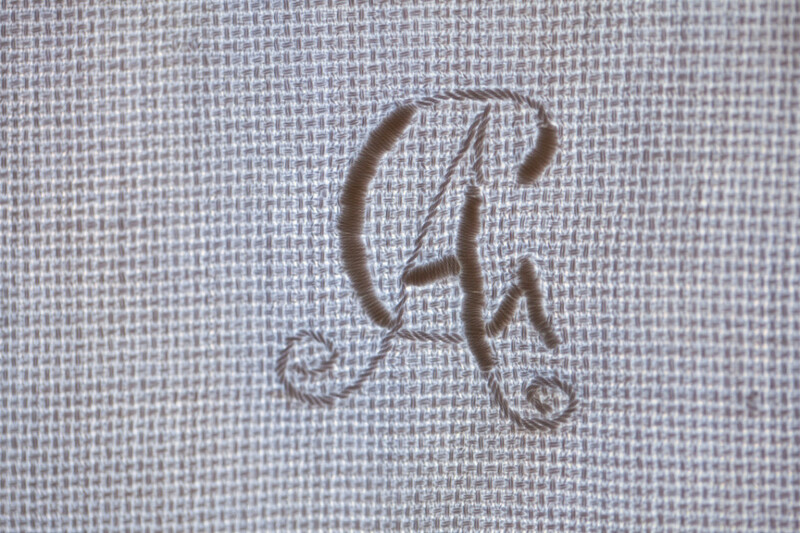 Bedding is changed once a week or every five days if a guest should stay for longer than one week but no more than two. We offer free additional towels according to your demands and needs. Pets are allowed upon inquiry. Note: pet owners are required to do the final clean-up of the apartment on their own or pay an additional fee of 150 kn. The distance from the center of town is 300 m. There, you can find coffee shops, restaurants, a postal office, a bank, ATM machines, a market, a butchers shop, fisher market, pastry shops etc. 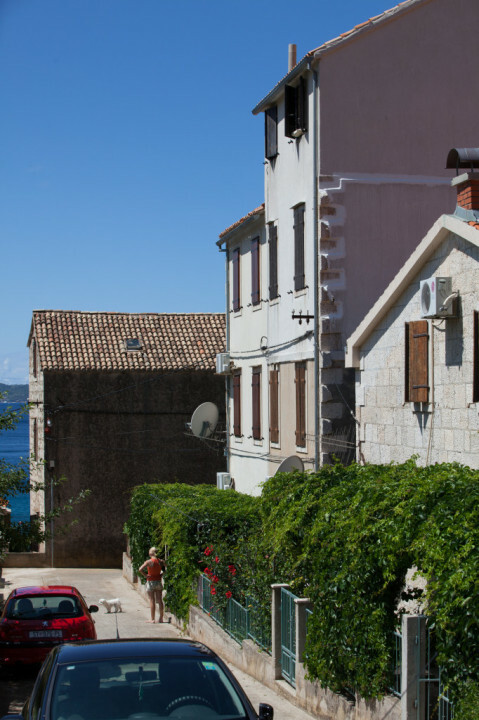 The distance from a food store is 150 m, the beach 30 m, a doctors office 200 m, gas station 10 km (The City of Vis). Parking is available in front of the apartment; Warning – the street is narrow. The next parking option is at the end of the street which contains other apartments, at the distance of 100 m (parking not charged) and there is also a guarded parking lot at the distance of 200 m (parking is charged). We offer you an option to rent a boat of the “Pasara” type with an outer engine, suitable for transportation to all the solitary beaches of the Komiža basin.